18 March – 21 May 2017. 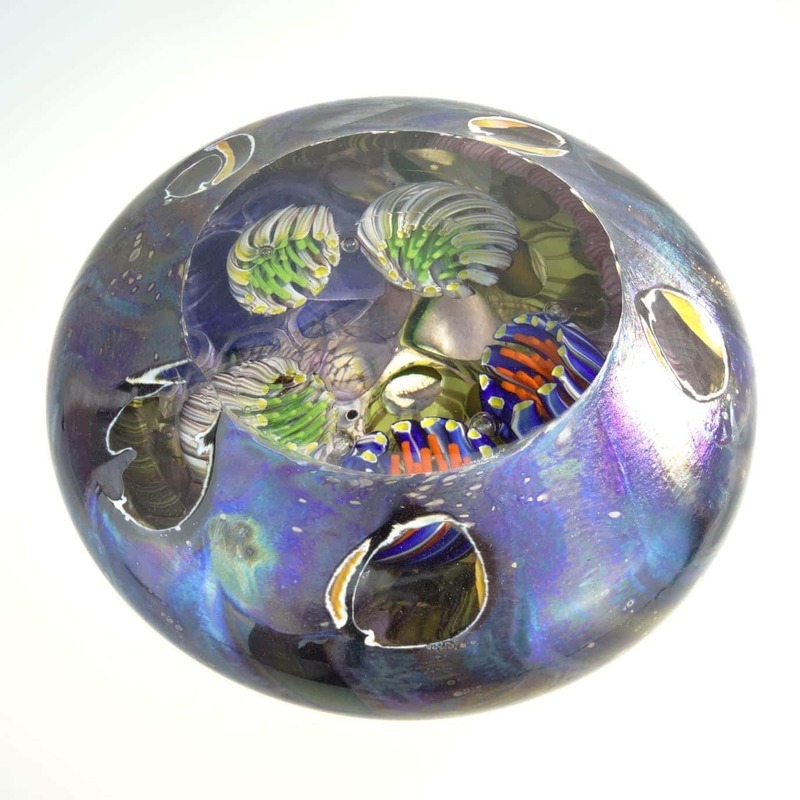 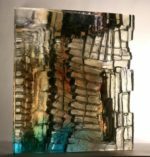 27 British and International Glass Artists have been invited to submit work of various styles and glass making techniques. 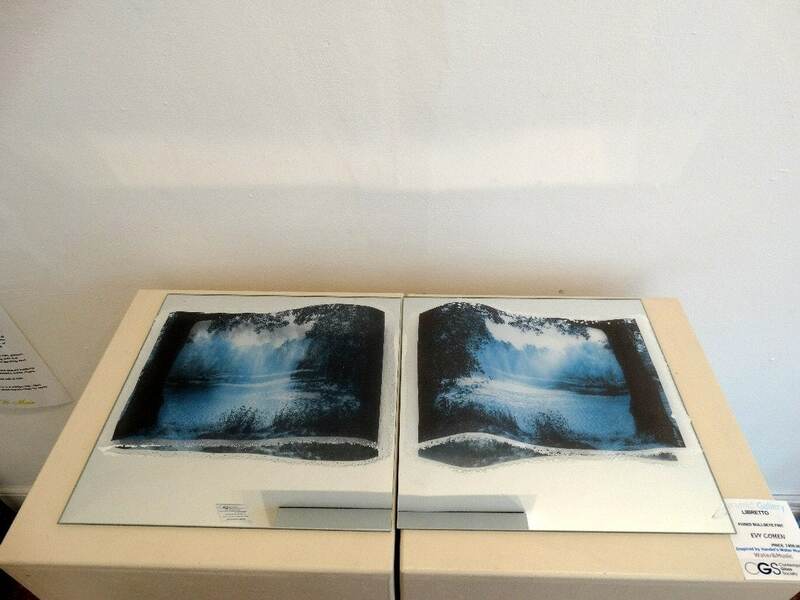 The show will include two installations. 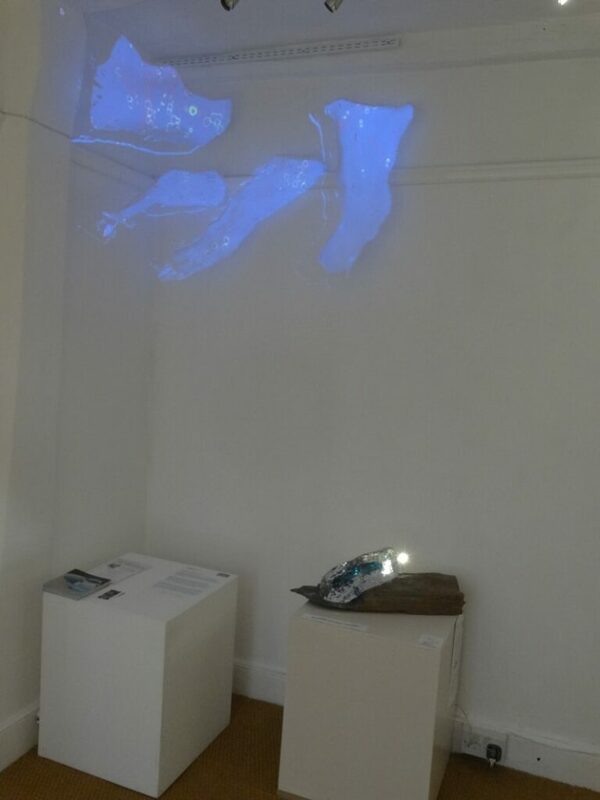 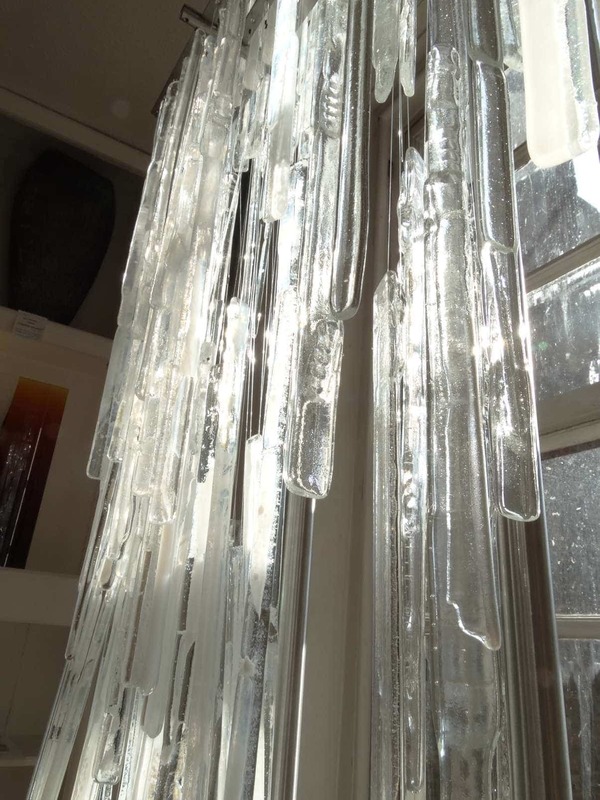 One will comprise many jingling glass tiles representing a waterfall by Liz French and the other a light and music installation by Paul Miller on Pate de Verre hanging panels by Griet Beyaert. 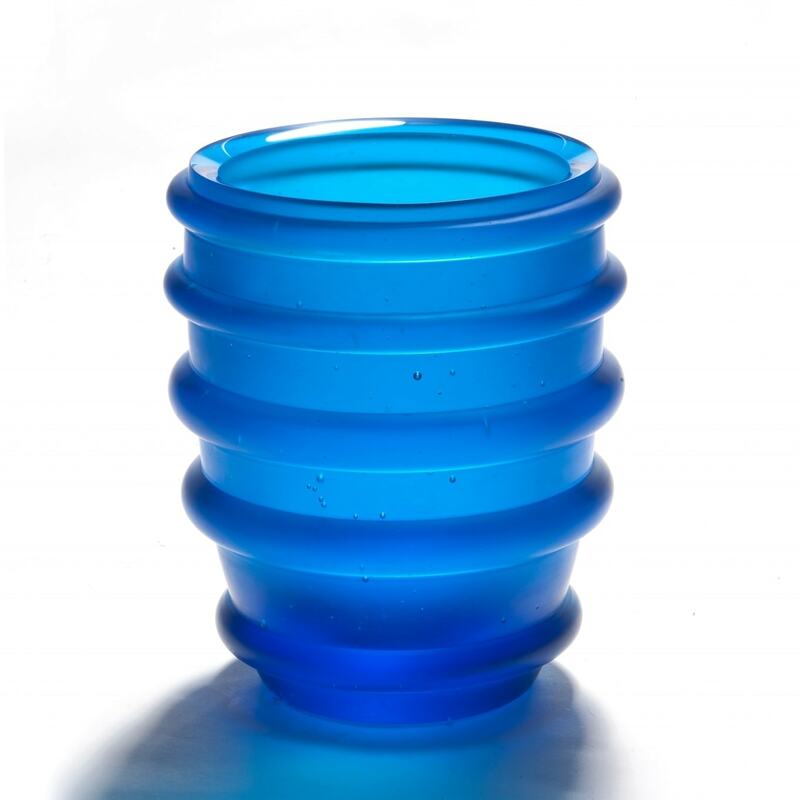 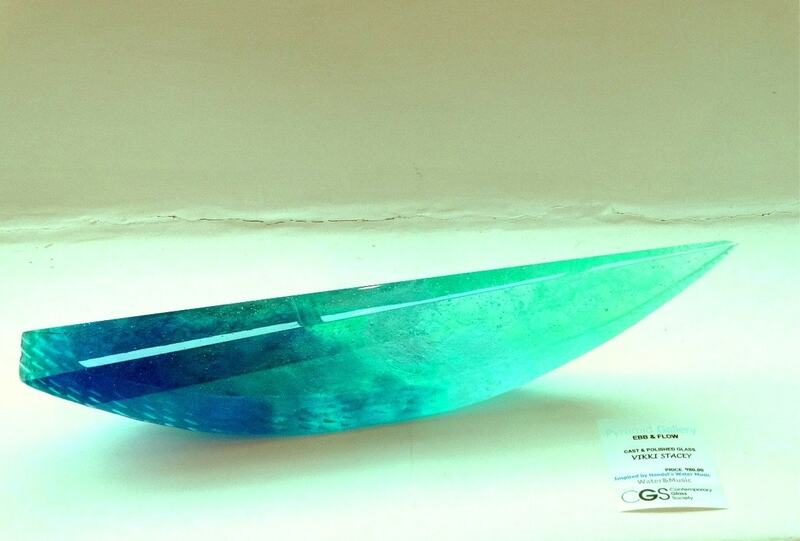 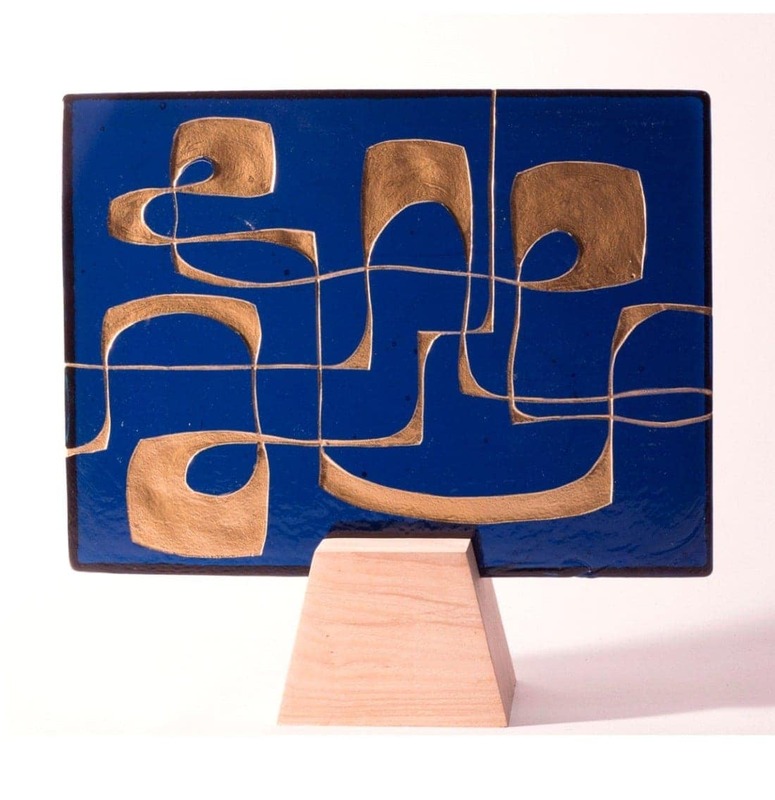 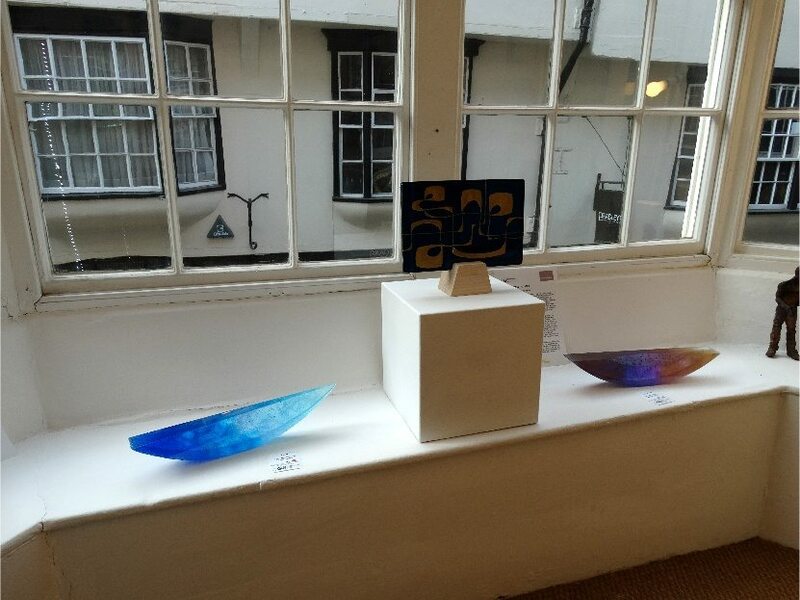 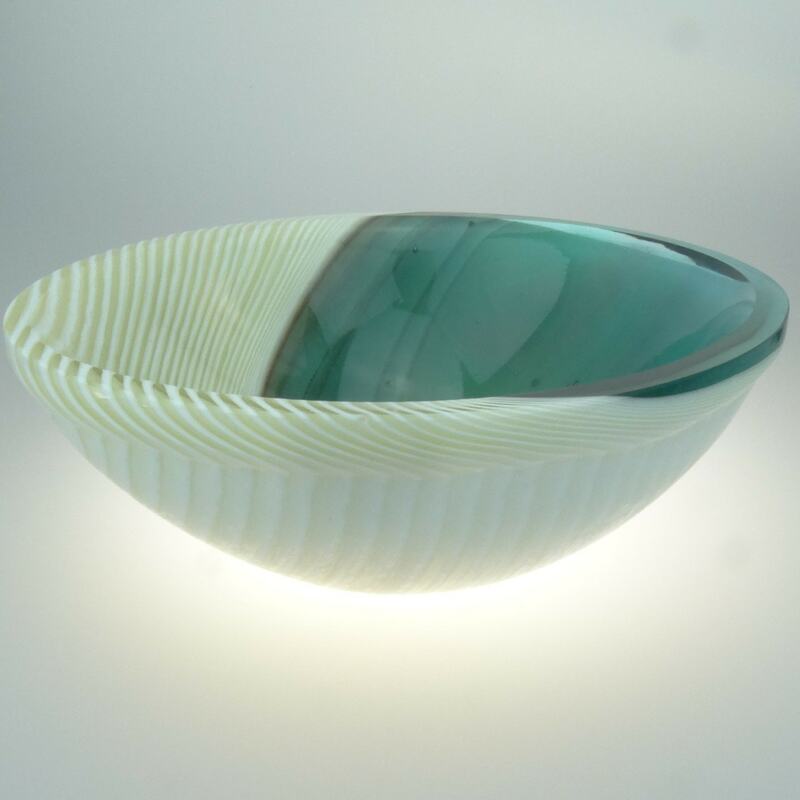 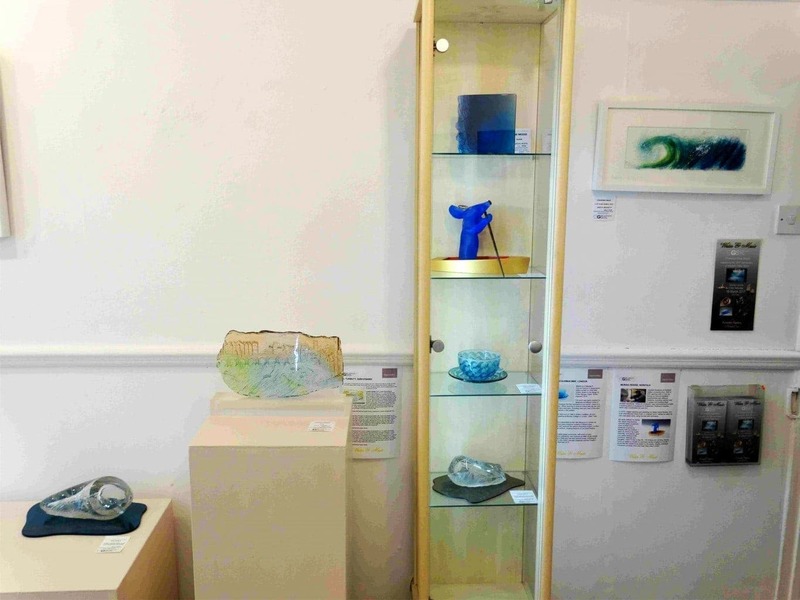 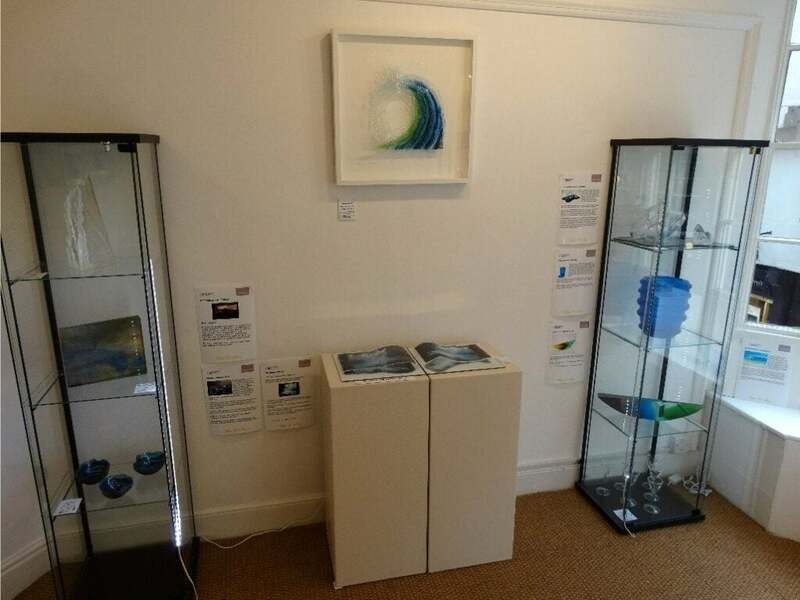 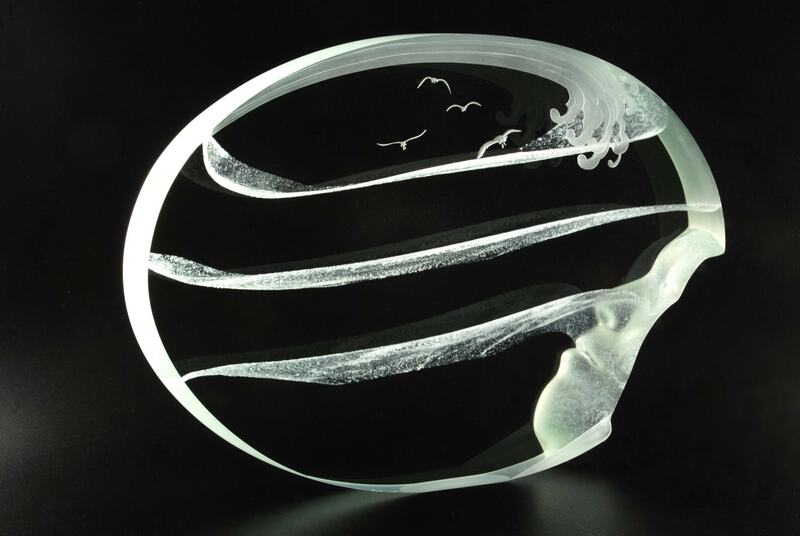 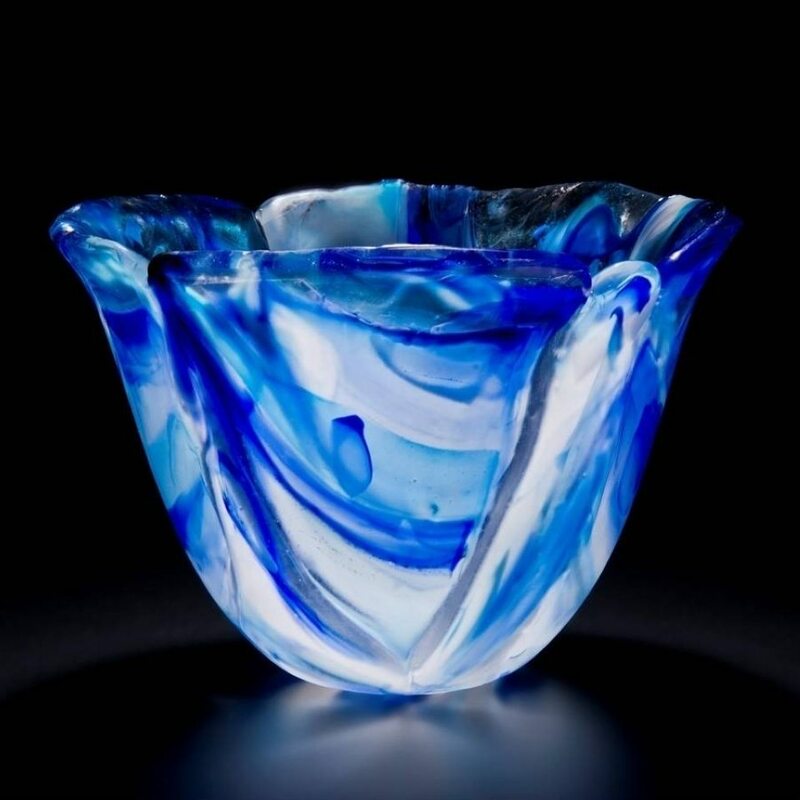 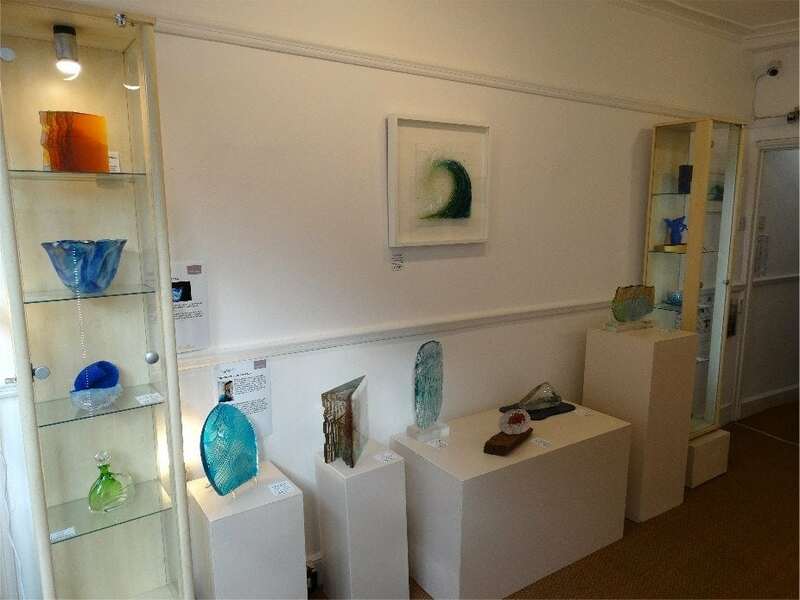 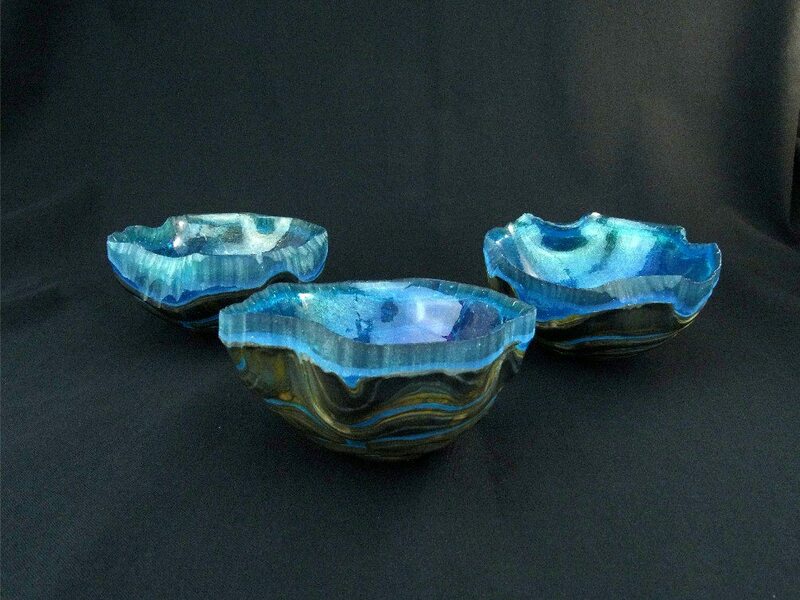 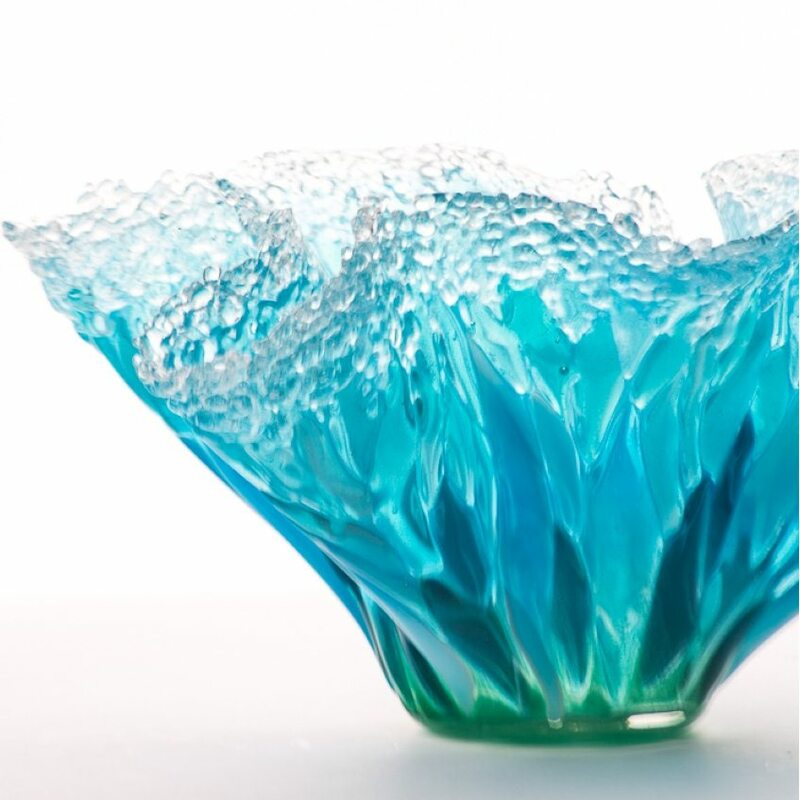 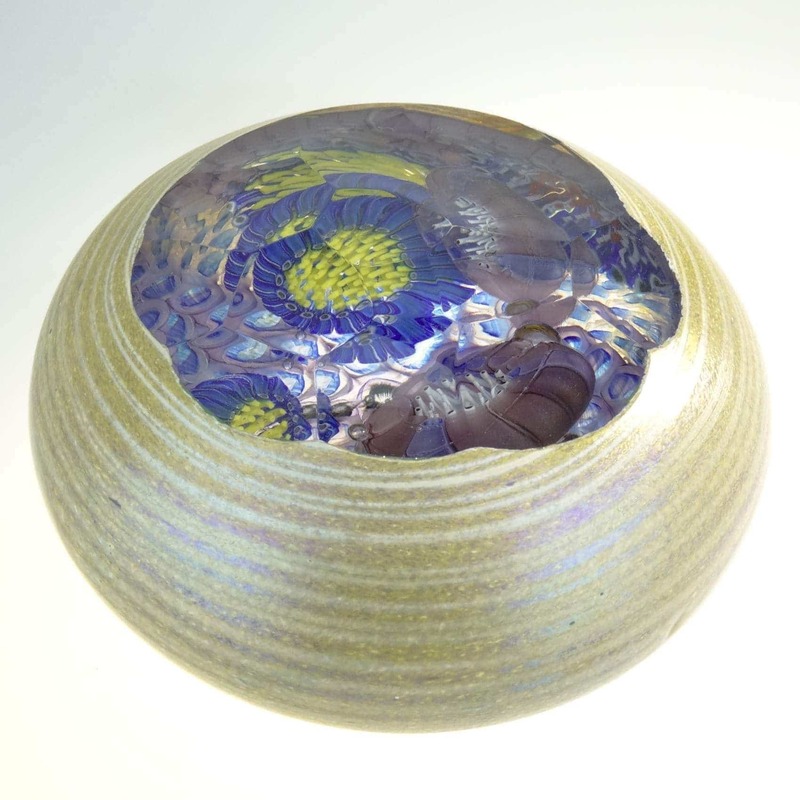 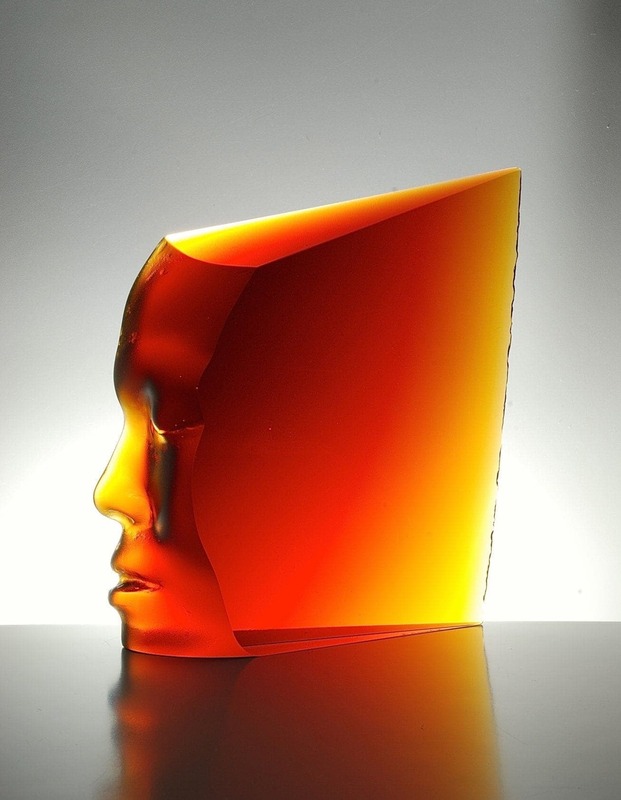 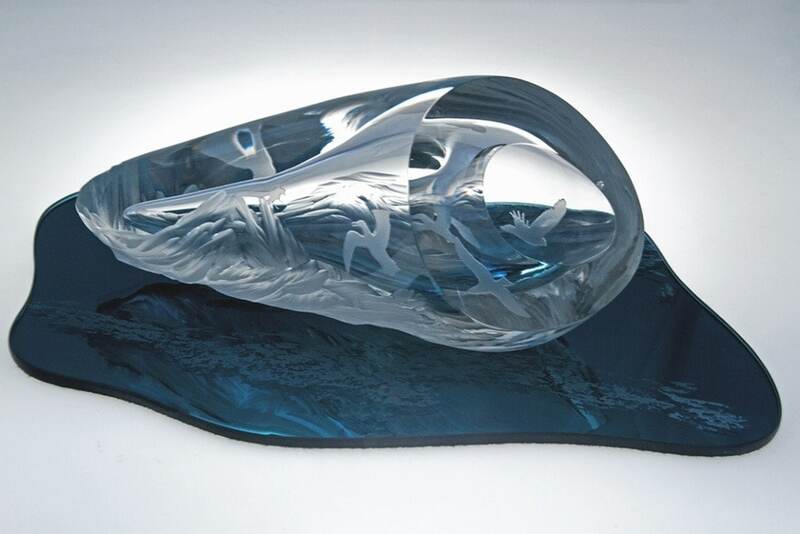 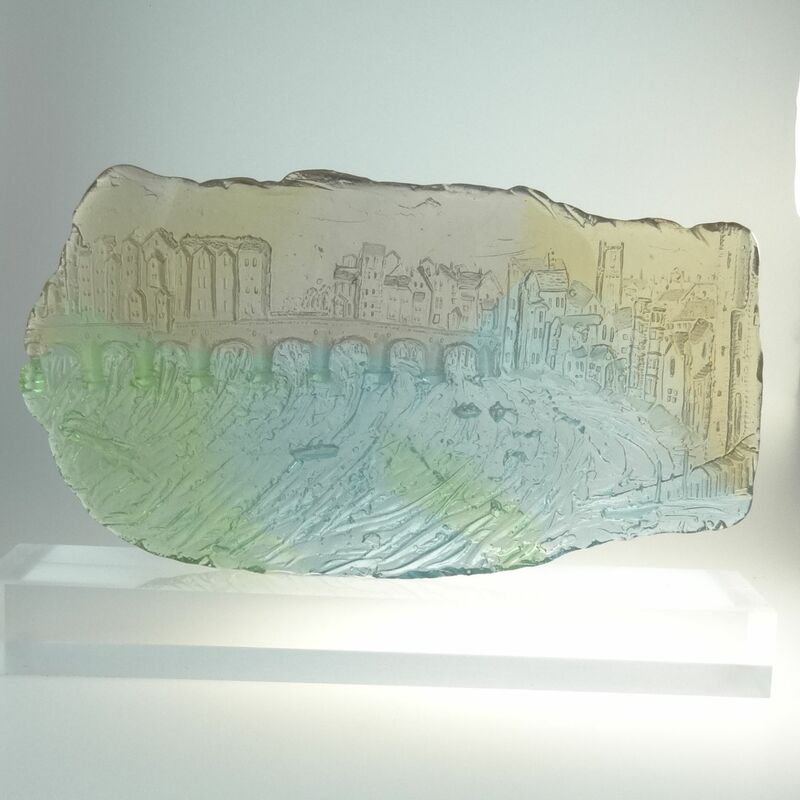 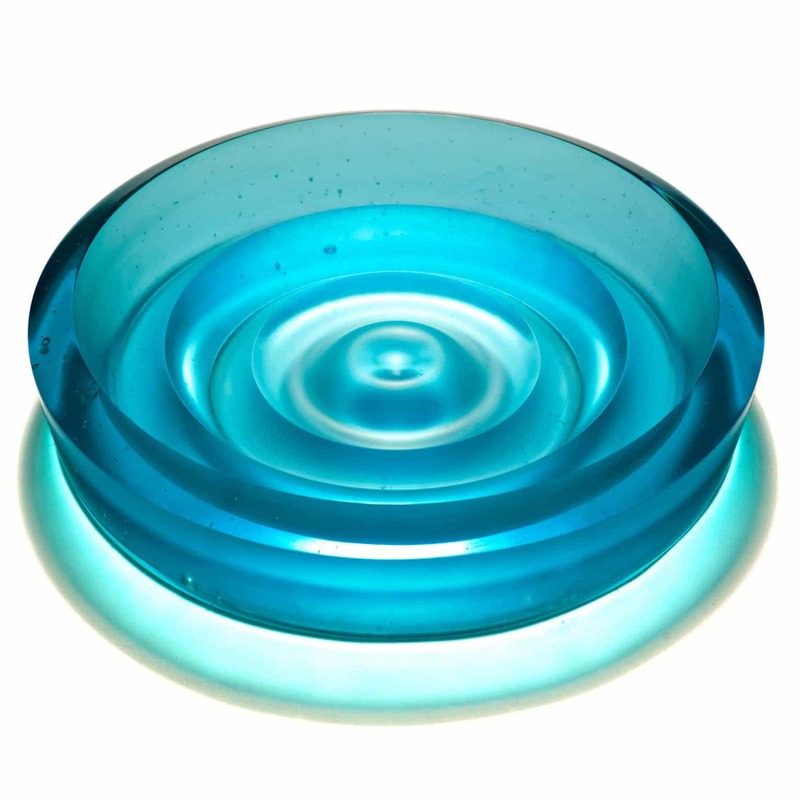 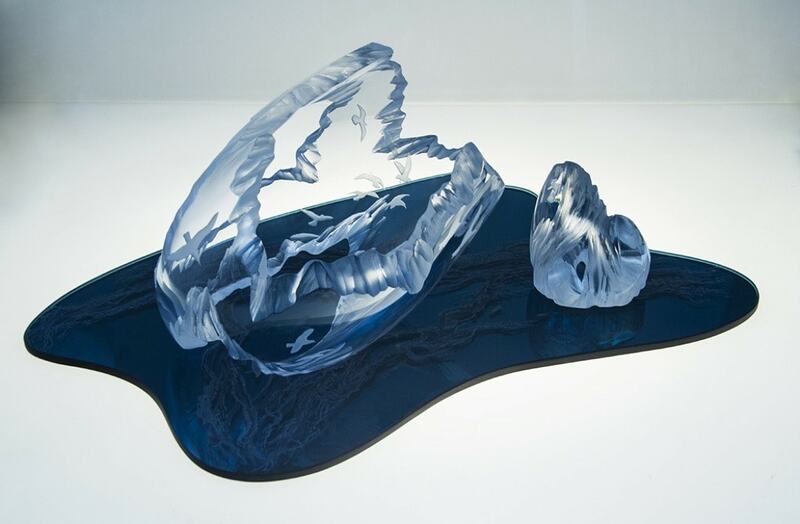 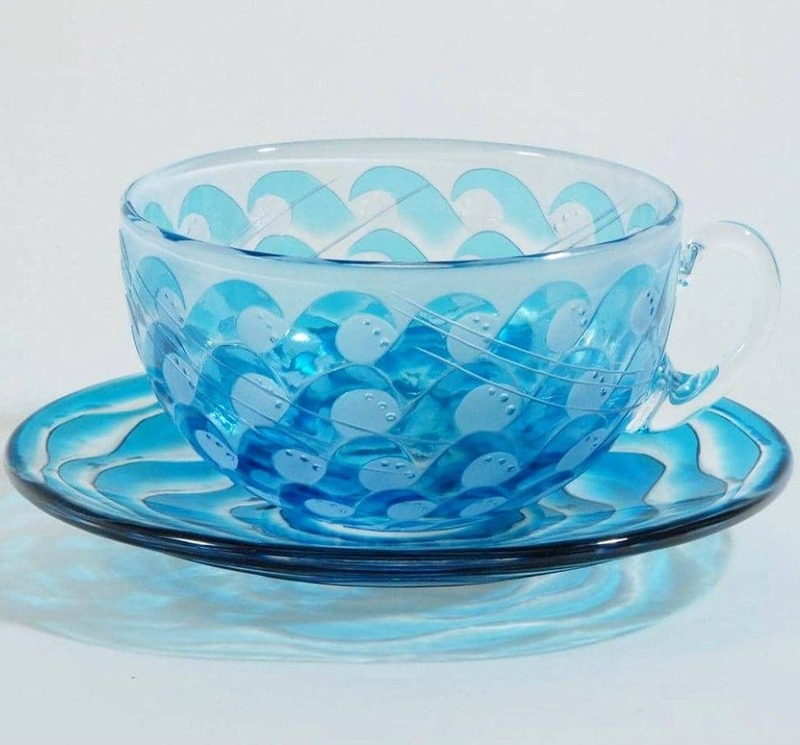 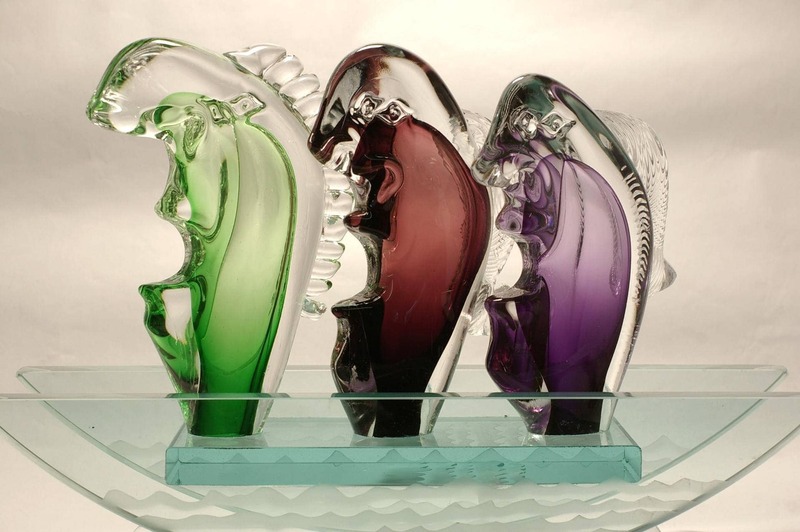 The Contemporary Glass Society (CGS) is the UK’s foremost organisation for supporting established artists, for supporting up-and-coming makers and for promoting contemporary glass in the wider art world. 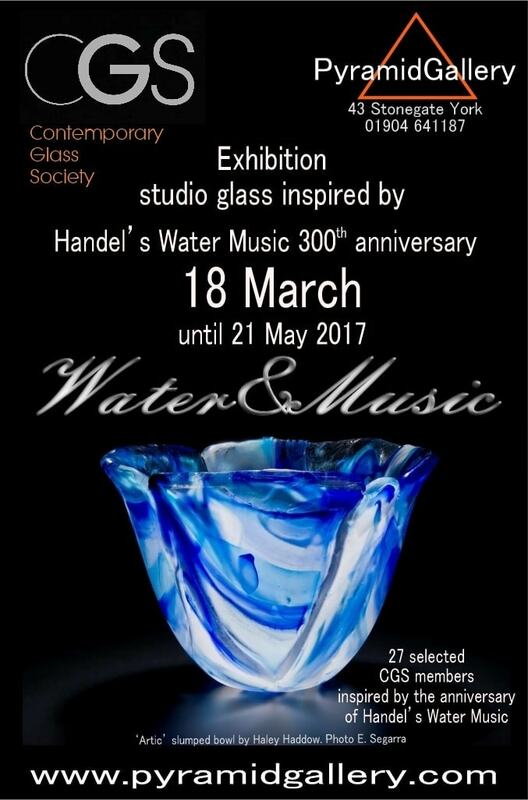 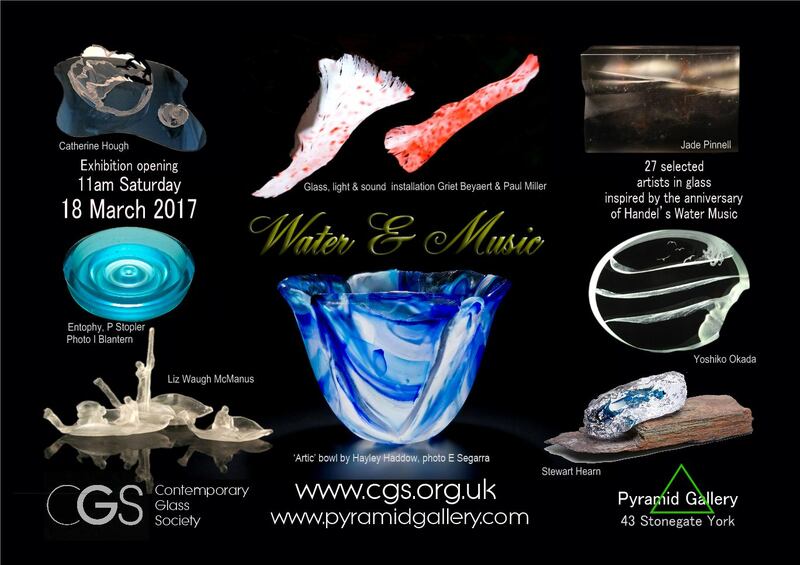 The CGS and Pyramid Gallery are extremely pleased to be collaborating once again in promoting exceptional talent, and on this occasion to be commemorating the 300th anniversary year of Handel’s fantastic Water Music. 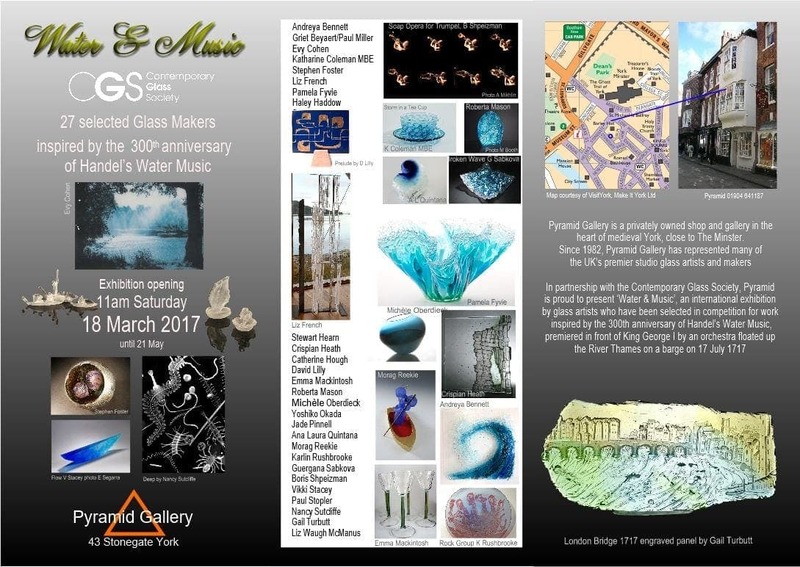 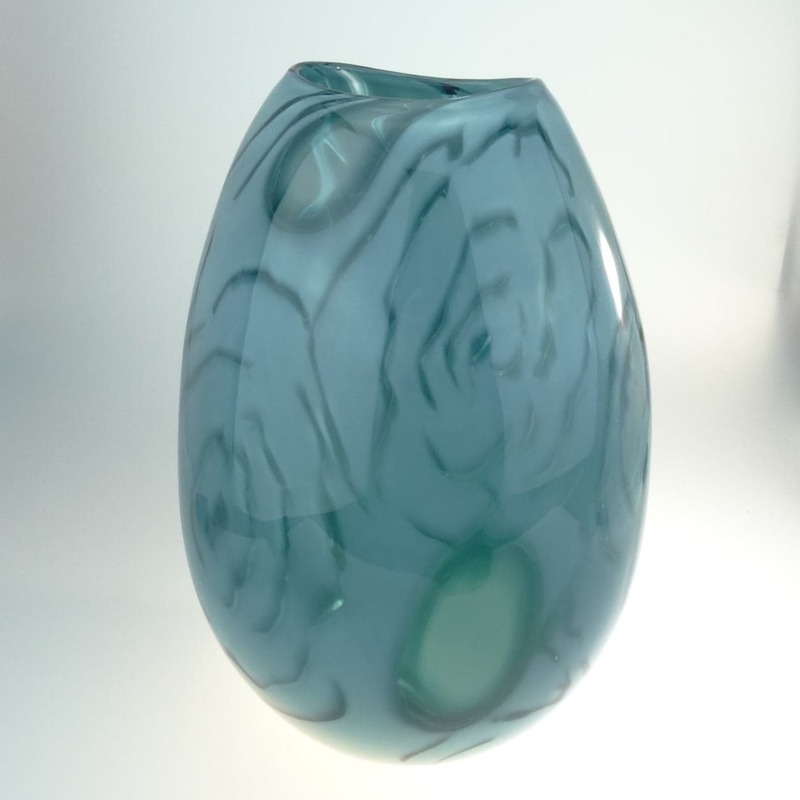 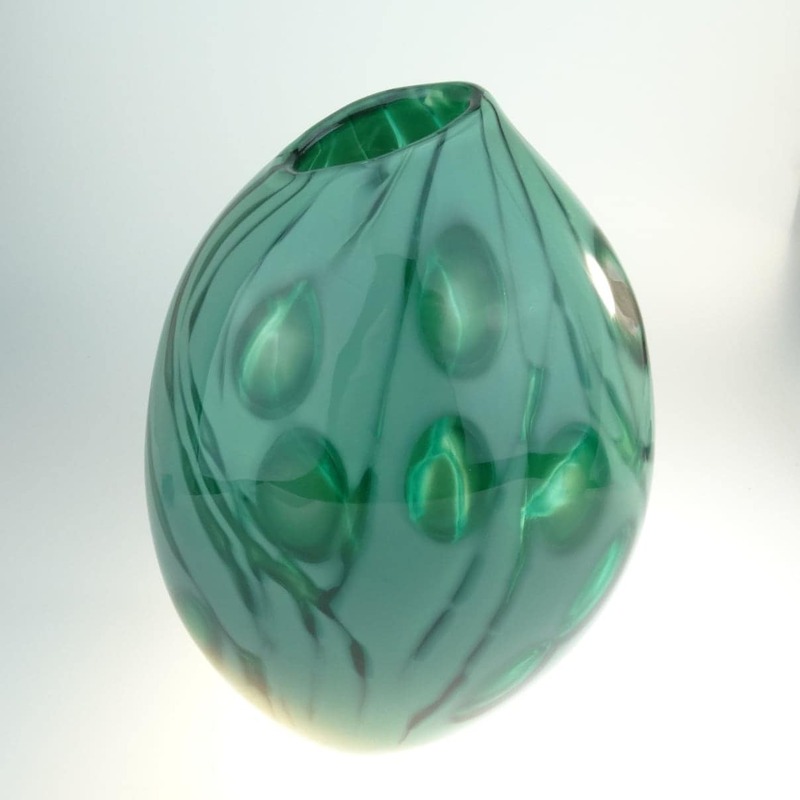 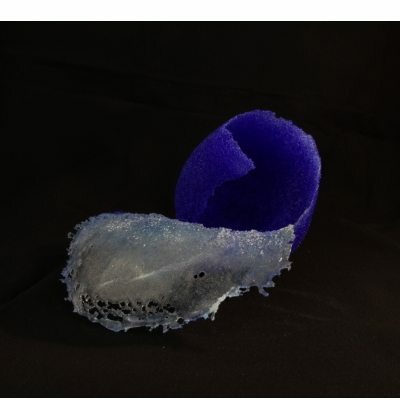 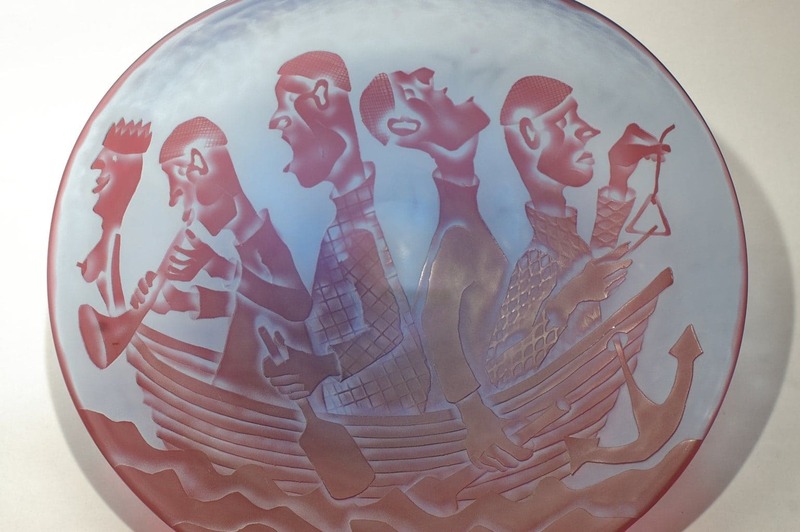 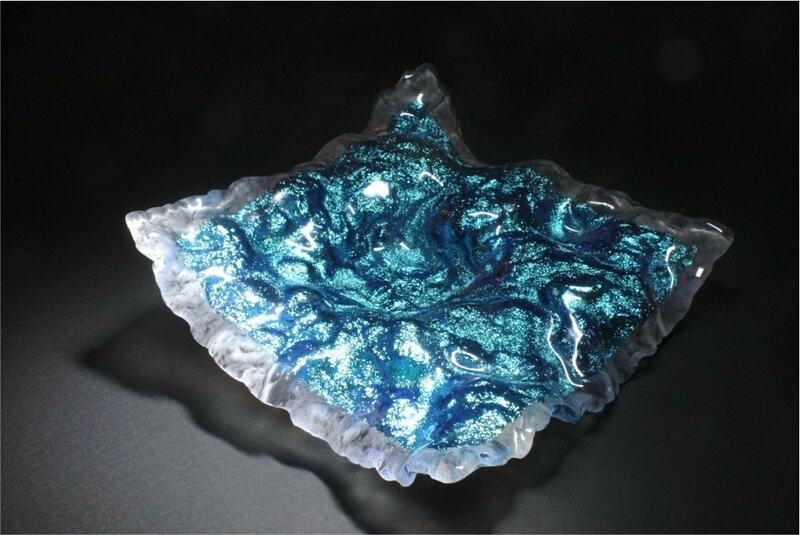 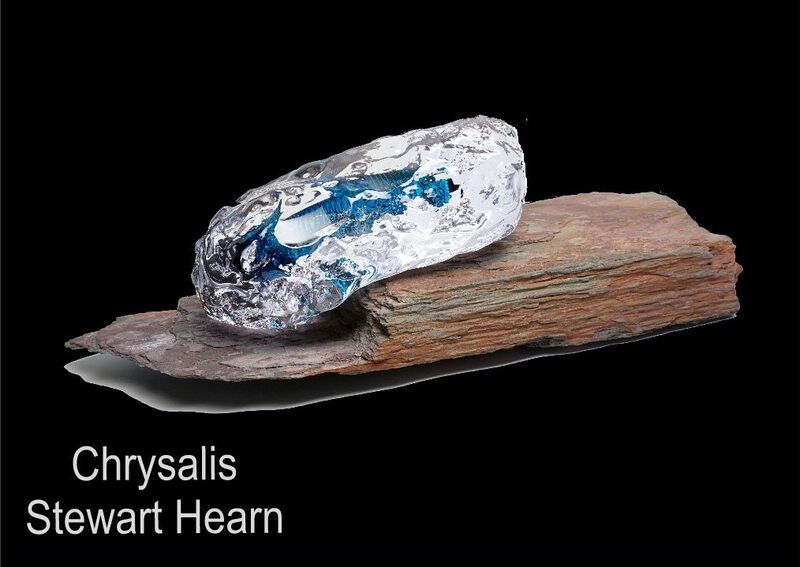 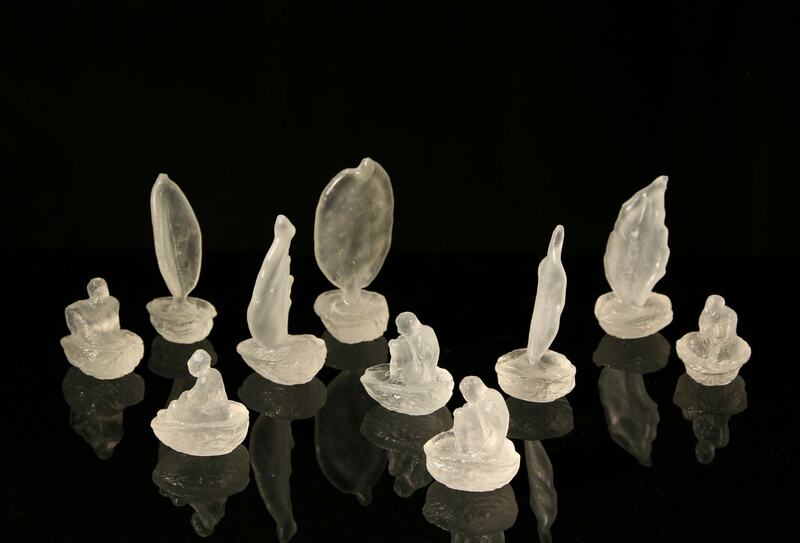 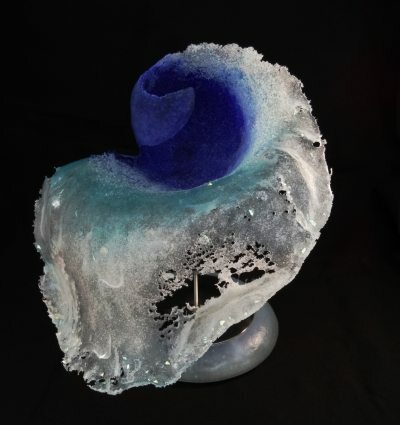 The CGS invited its members to let their imagination flow and newly create an inspired piece of glass, or submit work that was directly inspired by Water or Music. 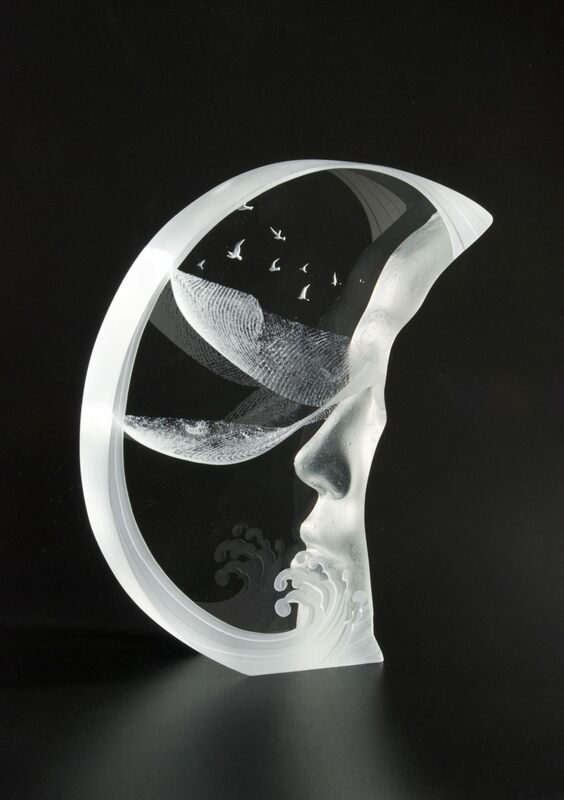 Over 50 CGS members, from all corners of the world sent us marvellous inspired submissions, and it was extremely hard for the selection panel to make the final choices of twenty seven artists’ work. 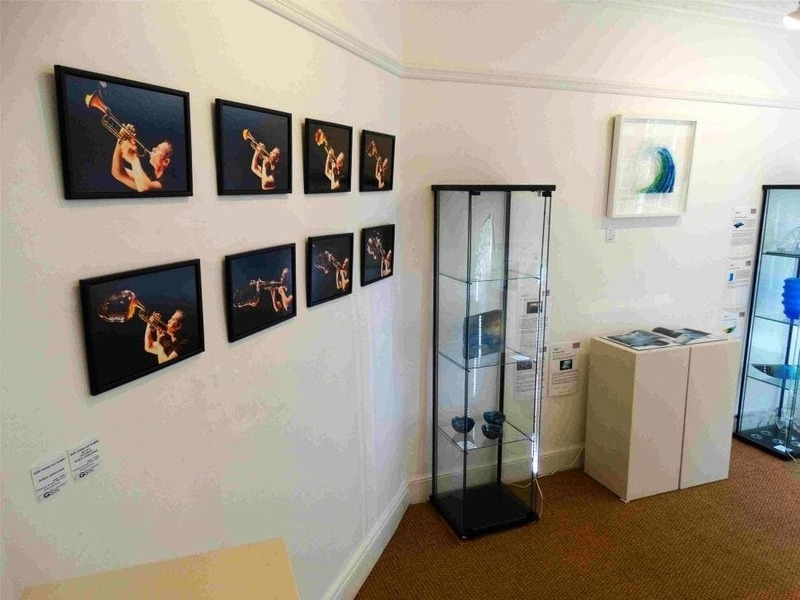 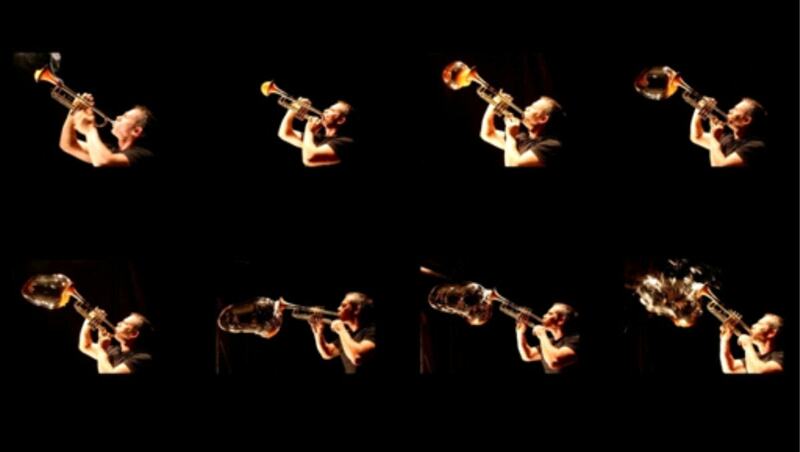 Andreya Bennett, Griet Beyaert, Evy Cohen, Katharine Coleman, Stephen Foster, Liz French, Pam Fyvie, Haley Haddow, Stewart Hearn, Crispian Heath, Catherine Hough, David Lilly, Emma Mackintosh, Roberta Mason, Michele Oberdieck, Yoshiko Okada, Jade Pinnell, Ana Laura Quintana, Morag Reekie, Karlin Rushbrooke, Guergana Sabkova, Boris Shpeizman, Vikki Stacey, Paul Stopler, Nancy Sutcliffe, Gail Turbutt and Liz Waugh McManus.